Welcome! 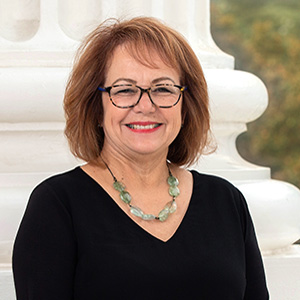 I’m State Senator Maria Elena Durazo. I proudly represent Senate District 24, which includes the Los Angeles neighborhoods of Boyle Heights, El Sereno, Highland Park, Eagle Rock, Glassell Park, Mt. Washington, Cypress Park, Lincoln Heights, Atwater Village, Elysian Valley, Arlington Heights, Echo Park, Silver Lake, Los Feliz, East Hollywood, Little Armenia, Thai Town, Larchmont, Koreatown, Pico-Union, Westlake-MacArthur Park, Historic Filipinotown, Chinatown, Little Tokyo, Arts District, Civic Center, City Terrace, and East Los Angeles. I’m ready to hit the ground running for our community in the State Senate. I look forward to working on legislation that positively affects our communities and California. Check back often for updates on what my office is working on for the people of SD 24. In the meantime, if you need help with local or state services, please contact (213) 483-9300. View a map and demographics of Senate District 24.